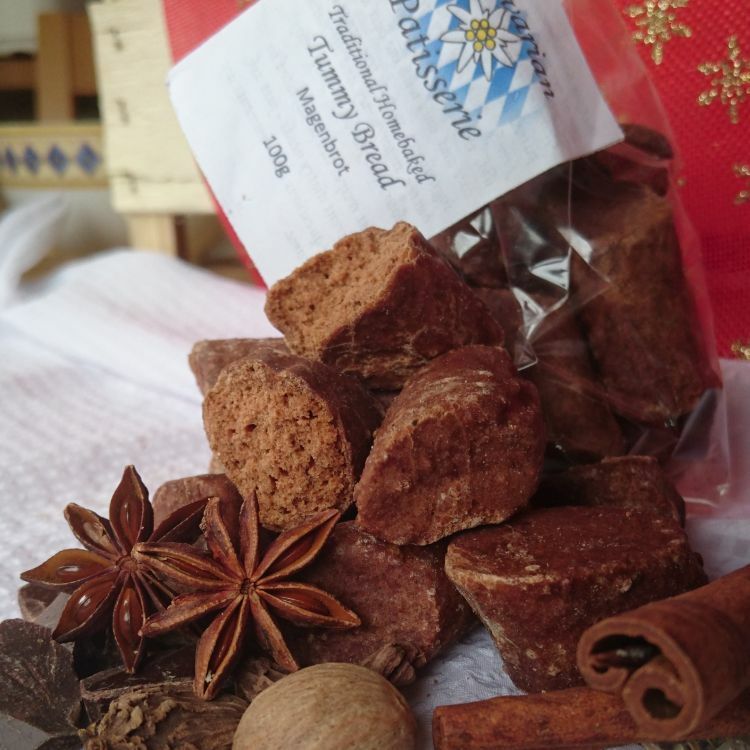 A traditional German/Swiss Lebkuchen (gingerbread), soft and far less gingery but based on a Christmas spice blend dominated by cinnamon and cloves. Typically also sold at fair grounds all year round. Tummybread has a little bit of mixed peel added and is coated with a chocolate icing. The spices are good for upset tummies hence the name. Sugar, wheat*/rye* flour, cocoa powder, cocoa butter, coconut oil, orange and lemon peel, sunflower oil, sunflower lecithin, lemon juice. Christmas spice, raising agents: ammonium bicarbonate, potassium carbonate. 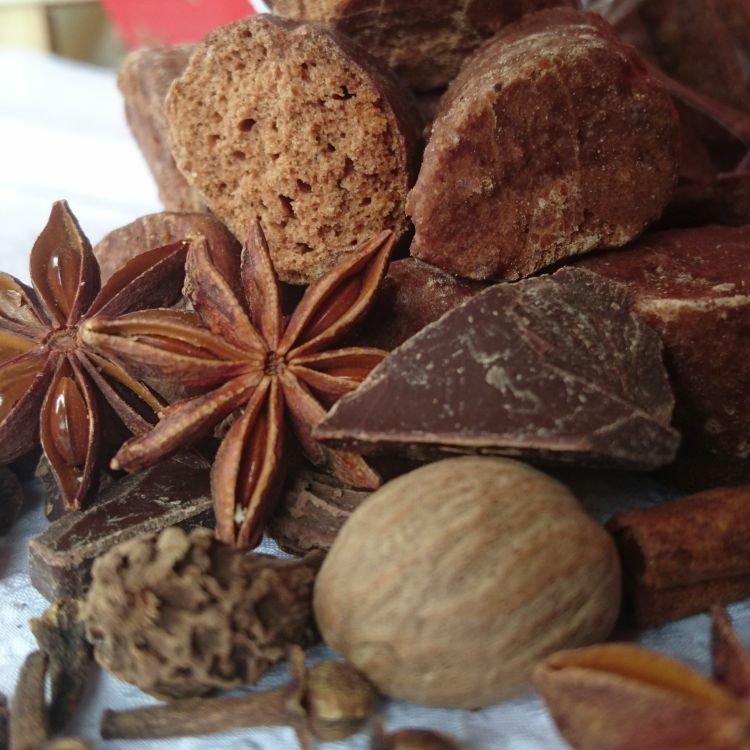 Christmas spice is a blend of cinnamon, cloves, cardamom, aniseed, star anise, ginger, mace, nutmeg, allspice, coriander and fennel.